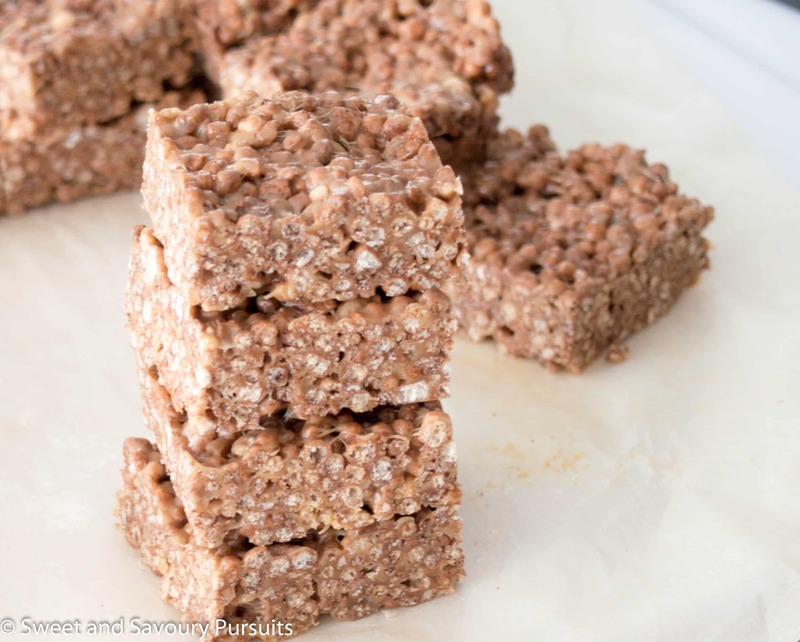 These easy, no-bake Cocoa Quinoa Puffs and Peanut Butter Squares are chewy, chocolatey, peanut buttery and gluten-free. They make a delicious afternoon snack! Originally my plans for today involved me getting out to run some errands. But then I opened the door, and quickly changed my mind. You see where I live it felt like -35°C (with the wind chill) this morning. 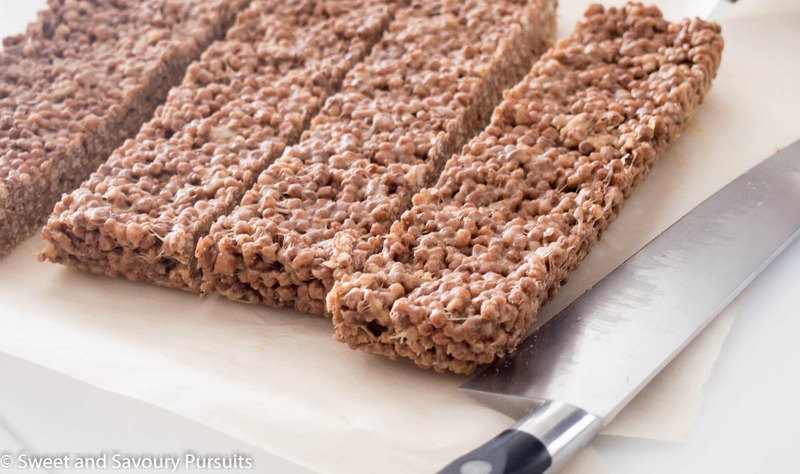 Nothing I have to do is that pressing, so I decided to stay indoors and try this recipe for Cocoa Quinoa Puffs and Peanut Butter Squares that I’ve been thinking about making. You will love this recipe because it has only 5 ingredients and is very quick to prepare. It also offers you a good dose of protein coming from both the cocoa quinoa puffed cereal and the peanut butter. 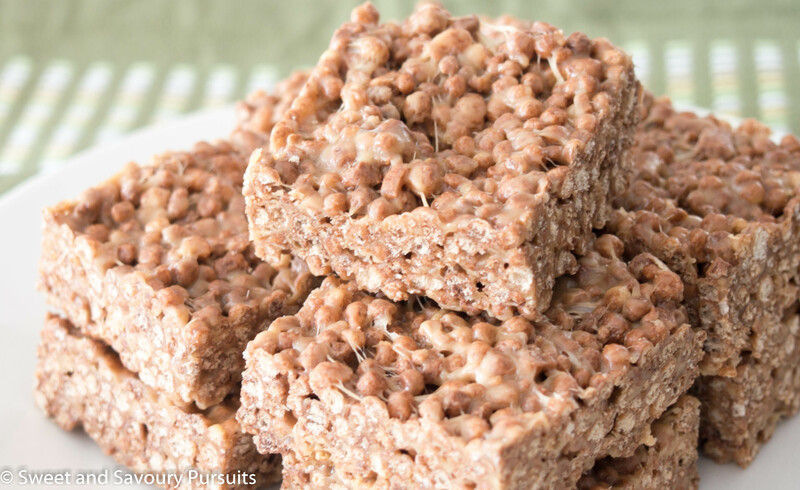 But mostly you will love these Cocoa Quinoa Puffs and Peanut Butter Squares because they are chewy, chocolatey and peanut buttery. And for those who have a gluten intolerance, they are gluten-free! If you love peanut butter and are looking for something more decadent, take a look at this recipe for Stuffed Peanut Butter Cookies, you’ll love it! In a medium-sized saucepan, melt the butter on medium heat. Add the marshmallows to the melted butter and stir constantly until the marshmallows have melted and are smooth. Turn the heat off and add the peanut butter and vanilla, stir well. Add the cocoa quinoa puffs and mix until well blended. Either butter an 8×8 square baking pan or line it with parchment paper and evenly spread the mixture in the pan. Let cool and then portion into the desired size, I cut it into 16 pieces. Thank you for this gluten free recipe!! You’re very welcome. I hope you will give it a try!